Home General Before You Update Your Infinix Phones, Check This Out! Before You Update Your Infinix Phones, Check This Out! It is no longer news that updates are sent from time to time to devices in order to enhance or fix certain software issues associated with the device. 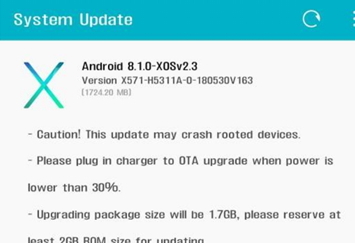 Although, updates been sent out by OEM to their devices are been done for good intentions and as we stated that they are either been sent out to fix certain software bugs being noticed, to stabilize or produce some level of software optimization to the device or just to keep certain things in check and keep your device performing optimally. These software bugs are sometimes been reported by users to the OEM and this is part of the reasons that OEM do collect feedbacks from users of their devices, since they use the data collected to deliver updates that will fix certain issues complained by the consumers. But inasmuch as updates are good, before you should carry out any update, especially on your Infinix devices it is advisable to think twice, especially if there are no noticeable pressing issues currently associated with your device. In the attempt to deliver updates to fix certain software bugs being noticed on some devices, it is a well-known fact that sometimes those updates tends to upset certain other stable features of the device, thereby affecting other portion and completely delivering poor user experience. If your device is stable, sometimes it is even advisable not to carry out any form of updates. We have noticed that the devices being affected most times when these updates are delivered and are installed by users are Infinx devices. And instead of providing some level of software optimization, it ends up introducing certain bugs that will rather affect some features performance of the device. Notable among some the error that most updates introduce to Infinix devices is poor camera performance. Many folks have reportedly noticed their Infinix device camera performing poorly just immediately after updating their devices and this can be highly frustrating. Some folks that are currently using the Infinix Hot 6X and the Infinix Note 5 devices have reportedly started experiencing poor camera picture quality immediately after installing certain updates being delivered to their devices. Prior to the update, they were having absolutely no issue with their device camera and are contented with the image quality the camera produce, but after update it is no longer so.